Jonathan McAfee (b. 1982) is an artist working in Evergreen, CO. After graduating from Herron School of Art and Design (Indiana University) with a B.F.A. in painting, McAfee began focusing on the figure and developing his expressive application of paint. He has exhibited in solo exhibitions at the Evansville Museum of Arts, History & Science (Evansville, IN) and Artwork Network (Denver, CO). His numerous group exhibitions include Muses of Mt. Helikon IV at Helikon Gallery (Denver, CO) and The Self-Portrait Show at Gallery 924 (Indianapolis, IN). McAfee was awarded the second annual North American Artist Showcase (June 2016) through Professional Artist Magazine. 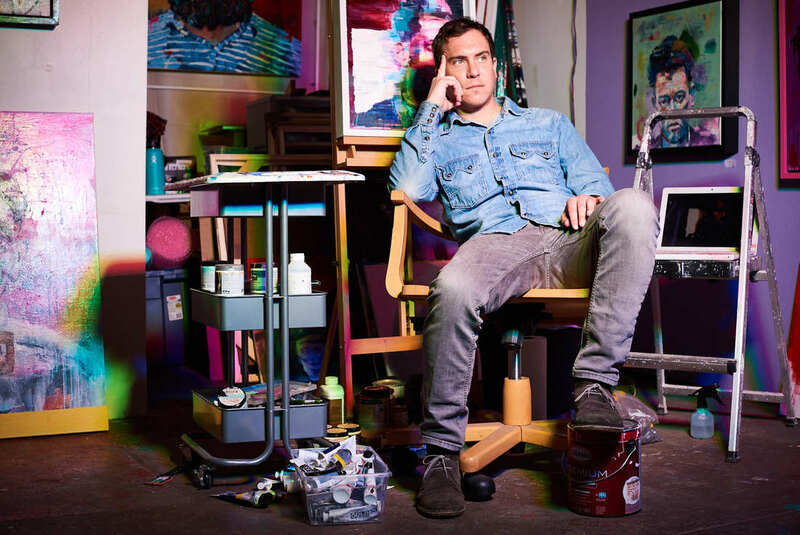 He recently exhibited his paintings in Los Angeles as part of the Superfine Art Fair (February 2019). McAfee's work is collected throughout the U.S. and Europe and can be seen and purchased at his art studio in Evergreen, CO or online at www.jonathanmcafee.com, Saatchi Art and ArtFinder.